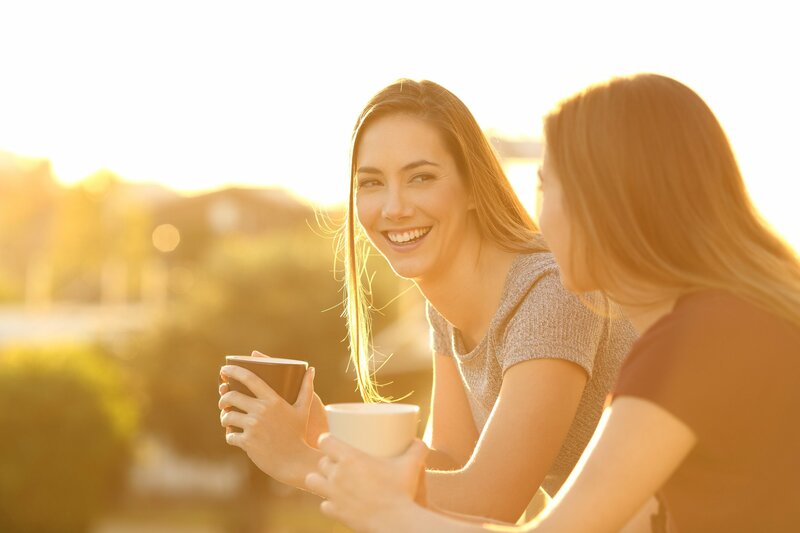 OUR STORY IN COFFEE BEGAN THREE GENERATIONS AGO. 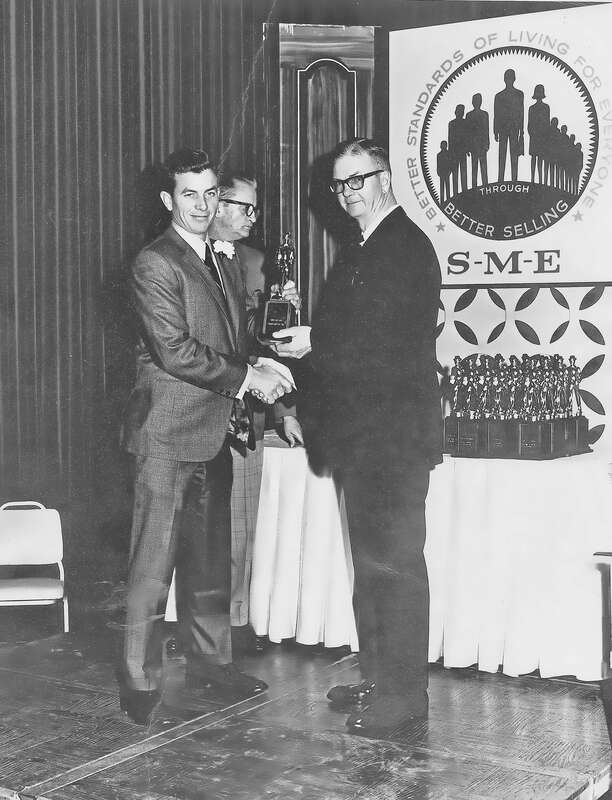 Dan Jolliff, Sr. begins working as a relief route person for a Nestle coffee subsidiary in Oklahoma City, OK. From this entry level position, he worked his way up in the company, eventually becoming a division manager. Dan enjoyed his work and often took his sons Danny and Greg along to make coffee deliveries. 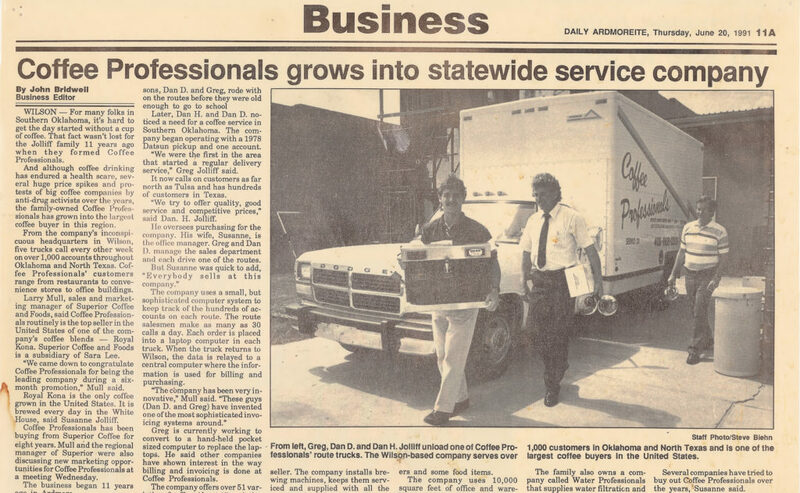 After completing high school, Danny and Greg started Coffee Professionals with the guidance and support of Dan Sr. As the company grew, they bought their first building and delivery truck and continued to grow the coffee service business while buying and selling coffee from a large roaster in the Midwest. The company buys its first coffee roaster and renovates a 6000 sq. ft. downtown building to begin roasting and packaging small batch coffee in house. 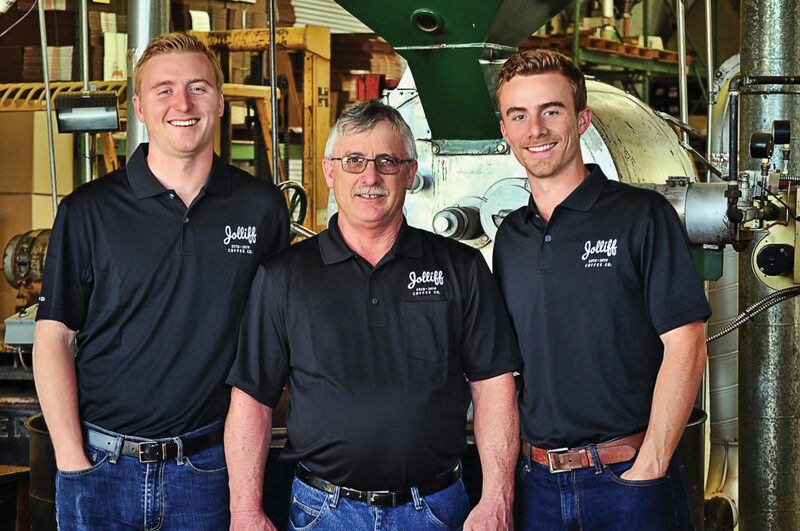 In the beginning, we roasted and packaged our coffees under two names: Jolliff’s Gourmet Coffee and Coffee Professionals. 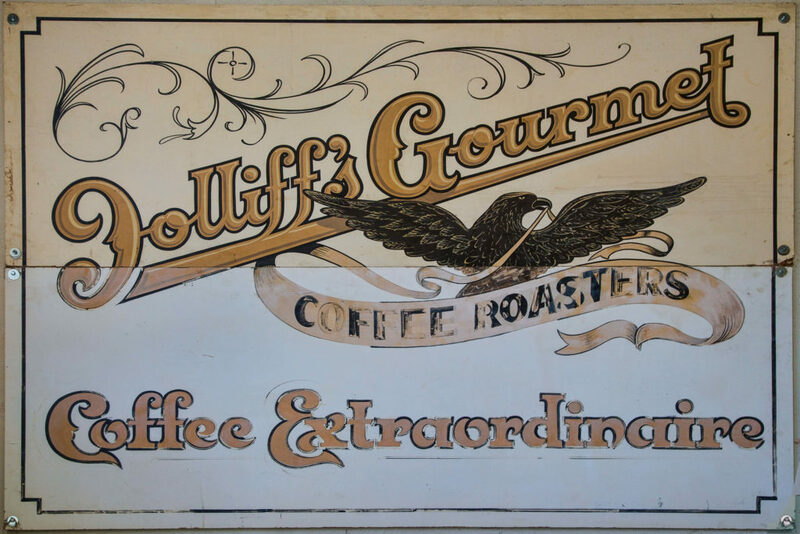 Jolliff’s Gourmet Coffee was sold in retail locations, while Coffee Professionals products were sold on our coffee service routes. We begin blending and packaging Susanna’s Iced Tea, named after Dan Sr.’s wife Susanne, and offer it in our restaurant and convenience store accounts. Greg Jolliff becomes the sole owner of Coffee Professionals. Joined by his sons he manages all day-to-day operations. The company begins branding all products as Jolliff Coffee to reflect our family-owned and operated company.